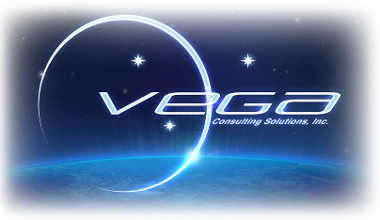 IT Employment, Talent Networking | Vega Consulting Solutions, Inc.
Vega Consulting was founded in 1993. We initially provided IT employment services to commercial companies and public utilities in the Northeast and Midwestern United States. Our services primarily addressed the development of business applications for those clients. Our company grew and expanded as demand for our quality services increased. In 2001, we moved to our current Headquarter location in Mountain Lakes, New Jersey. The global economy has gone through many evolutions in the last 24 years. The number of H1 Visas being issued for non-resident aliens has been reduced. On-shore and off-shore outsourcing, and a decline in college graduates pursuing IT careers are all issues that have affected the IT staffing industry. In 2016, while national unemployment was at 4.9%, an enormous surge in demand for IT staff created a shortage of quality talent. Now, unemployment in IT is estimated to be less than 2%. Staffing companies that are not focused on client needs or who cannot adapt to this changing landscape are suffering. We continue to thrive, largely due to our reputation for attracting and recruiting IT talent with the ability to meet client needs. Having seen the market shift, we proactively developed and implemented new technical solutions, sourcing tools and networking strategies to not only remain competitive but to continue our growth. We have distanced ourself from competitors with an active concern for the success of both clients and employees. Our recruitment network extends across all corners of the U.S. and into many foreign countries. We recruit IT talent by the utilization of V*STAR, a proprietary, copyrighted and standardized four-phase recruitment methodology, which includes a series of interviews, tests, references, and background checks. Using this proprietary recruitment model, we are able to locate, select and deliver the highest quality consultant, or team of consultants, to support our clients' initiatives, wherever they may be located. The success of our clients' IT initiatives will depend in part on having the right people available to get the job done. Since our inception in 1993, we have specialized in making the process of acquiring top-tier talent as seamless and painless as possible for our clients, and have a consistent track record of delivering long-term, sustainable talent acquisition solutions. This is another area where we thrive in the staffing industry. Our staffing team combines the best of traditional networking and relationship building with the newest technologies, software, and internet expertise to create a continuous and unique pipeline of professional talent. Our representatives have held, and currently hold, board seats in a number of these organizations.